Few shows received the type of warm reception and rapt attention Atlanta did in 2016. 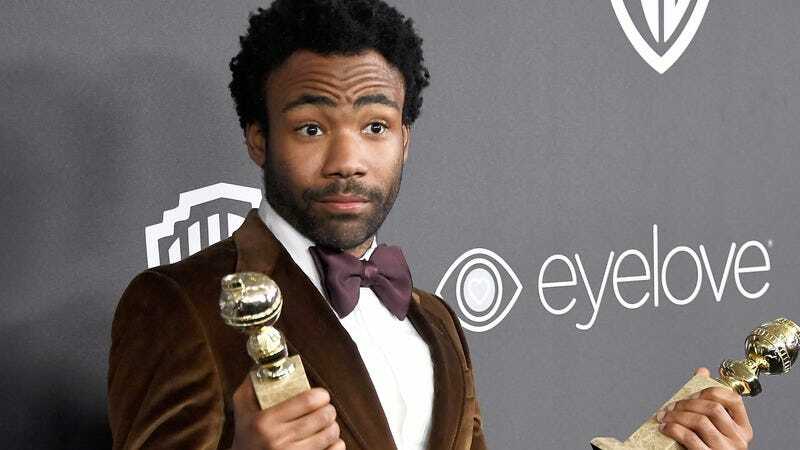 The dramatic-comedy/comedic-drama created by and starring Donald Glover landed on plenty of year-end lists (including those published in these pages) and has already picked up two Golden Globes and a Peabody Award on its way to making all discerning TV viewers wonder if they can pull off a velvet tux. (They cannot. They are not Donald Glover.) But if things go the way Glover hopes for season two, Atlanta won’t just pick up a few more trophies—it’ll need a whole new trophy case. Of course, Atlanta stood out last fall because it was not married to cohesion, and willing to go on episode-long detours like “B.A.N.” (in which Atlanta became a sketch show for a week, presenting a half-hour broadcast from a fictional BET-like network, complete with commercial parodies) or the Zazie Beetz spotlight “Value.” What kept it all connected was a rock-solid perspective, the sense that Glover and team knew this place, these characters, these stories, and had found the ideal vehicle in which to present them to the world. Glover spoke to this as well, mentioning how Atlanta differed from the many, many other series filmed in the eponymous city—sounding a bit like his old boss Dan Harmon in the process. Atlanta is set to return to FX in 2018, after Glover finishes his adventures with a young, slimy, double-crossing, no-good swindler.